Get low prices on used cars at the Auto Source | The Auto Source, Inc.
May 9th, 2016 by The Auto Source, Inc.
How much should a used car cost? When the time comes to upgrade your vehicle and you have decided to go with a pre-owned model, that is one of the questions you may ask yourself. A resource exists for such questions, and that resource is Kelley Blue Book. Kelley Blue Book is a well-known tool for researching the prices of automobiles based on make, model, year, and other factors. Finding a car that costs less than what Kelley Blue Book says it should is often a cause for celebration. So the question is, where can you find cars priced below Kelley Blue Book in central FL? 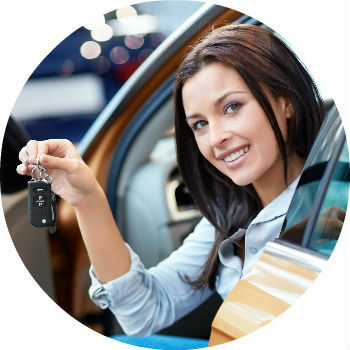 You can find cars priced for less than what Kelley Blue Book says they are worth right here at the Auto Source! We are proud to offer a wide selection of used cars priced below the price at which they are valued. We believe in great deals, and we want to offer you a fair price and keep you as a customer for life! We know that you are looking for the best value, and that is what we provide with these exceptional prices. And these cars are not priced below what Kelley Blue Book values them because they are inferior; on the contrary, we thoroughly inspect each of the vehicles that we come across before putting them out for sale, making sure you are getting a high-quality automobile. Which cars have the best resale value according to Kelley Blue Book? We have so many different styles of vehicles from almost all of the major brands you can think of right here on our lot. We even have a selection priced below $10,000 separated for you on our website if your budget prevents you from passing the $10K mark. Our vehicles come with the CARFAX history report as well, so you will know just what you are getting into. Contact the Auto Source to get an excellent price on one of our used cars today!